As the end of summer arrives, and the start of a new academic year begins, it is with great enthusiasm that I write this note to the AAAL membership in this September 2016 issue of the AAALetter! This is the first issue I bring to you in this new and exciting role I have been entrusted to serve for AAAL. Read More. What leadership skills do applied linguists need? What situations have you been in (or do you anticipate being in) where you took on (or were thrust into) a position of leadership? And how well prepared did you feel in assuming those roles? There has been some discussion in recent years about the possibility of AAAL helping members develop their leadership skills. What might such support involve? Read More. 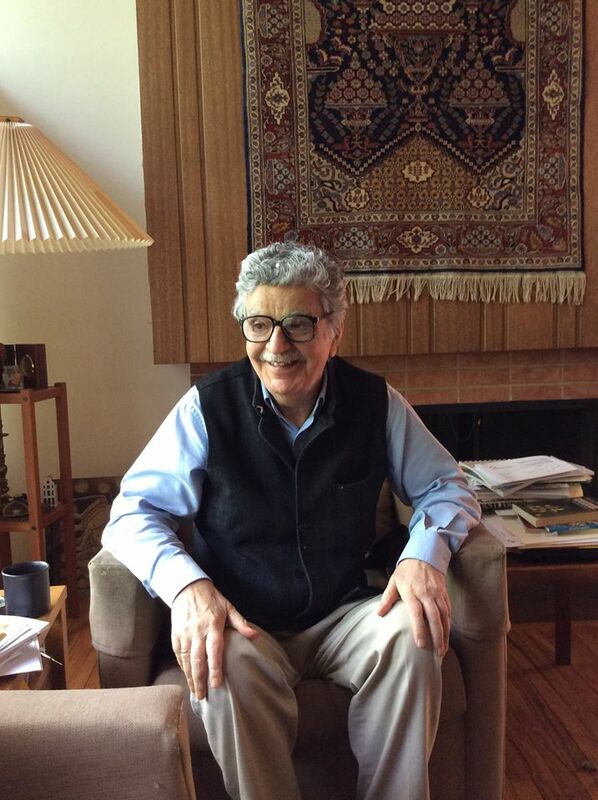 With sadness and respect, AAAL notes the passing of Braj Kachru, Professor (Emeritus) of Linguistics at University of Illinois Urbana-Champaign on July 29, 2016. Read More. A Message from our Secretary-Treasurer, Jeff Connor-Linton -- 2016 AAAL Election Results! Many thanks to the 2015-2016 Nominating Committee (Keiko Koda, Chair; Charlene Polio, Guadalupe Valdez, Fredricka Stoller, Ryuko Kubota, and Aneta Pavlenko [ex officio]), for recruiting a strong slate of candidates. 309 members of AAAL voted in this year’s election. Read More. I am pleased to join the Executive Committee (EC) of AAAL, which supervises our organization’s affairs and sets policies that allow our organization to grow from strength to strength. As someone who has served in various leadership roles in several professional organizations, I am fully aware that things do not just happen serendipitously. By the same token, AAAL’s accomplishments are the result of our members’ enduring commitment to the organization’s mission and their investment in its future. Read More. March, 2011; Chicago; my first AAAL conference. A classmate from Berkeley, Billy, and I clung together like tourists with passports hidden in our belts. We hardly spoke to anyone. We attended every session we could. We took lots of notes. We befriended some nice people who were running a book display. We rejoiced in finding a drink ticket on the floor. We heard Jim Gee and Chuck Goodwin and Michael Silverstein and Mary Louise Pratt and Leanne Hinton and Diane Larson-Freeman speak. We whispered that they looked just like, or not at all like, what we had imagined from their writing. We stayed with friends in different suburbs of Chicago and parted ways at the bus stop each night, giddy and exhausted. Read More. The AAAL Distinguished Scholarship and Service Award (DSSA) recognizes and honors a distinguished scholar for her/his scholarship and service to the profession in general and to the American Association for Applied Linguistics in particular. The recipient of the 2017 DSSA is Dr. Patricia (Patsy) Duff. Read More. We are excited to announce the addition of the AAAL Guidelines for Publishing in Applied Linguistics as a new member benefit. This continues our commitment to articulating best practices in our profession, which we began last year with our Promotion and Tenure Guidelines. Read More. Over the past few months, AAAL has launched two brand new member resources: A List of Funding Sources and the AAAL Guidelines for Publishing in Applied Linguistics! Both resources can be accessed by clicking on the links provided below and selecting the RESOURCES tab on the top menu once you have logged into the AAAL site. Read More. As the end of summer arrives, and the start of a new academic year begins, it is with great enthusiasm that I write this note to the AAAL membership in this September 2016 issue of the AAALetter! This is the first issue I bring to you in this new and exciting role I have been entrusted to serve for AAAL. Through contributions of members of our Executive Committee (EC) and others, this issue brings a variety of topics to your attention, ranging from a sad note in commemoration of the passing of Braj B. Kachru to the welcoming of new members who are eager to contribute their work and represent all of us in their leadership roles.Thus, in this issue, you will read about a number of AAAL members who were recently elected to serve AAAL and who will soon begin to contribute their service to our organization. You will also read about a new member to the existing EC, Peter De Costa. Peter has been appointed to replace Agnes He, who, very regrettably, had to step down from her leadership role. I especially urge you to read the contributions by our President, Kathi Bailey. 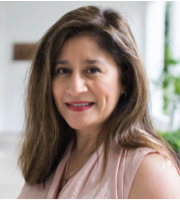 In this issue, Kathi writes an article titled “Applied Linguists and Leadership” that you will find both inspirational and inviting, as she encourages members to offer feedback that can inform the work as she leads AAAL in the year ahead. I invite you to take her up on this important opportunity! Separately, Kathi also introduces the recipient of the 2017 Distinguished Scholarship and Service Award (DSSA), Dr. Patricia Duff, who clearly personifies the traits of excellence in leadership in applied linguistics. Last but not least, new resources for members are also highlighted in this issue. Be sure not to miss them! Finally, I wish to extend my sincere appreciation to the members of the Executive Committee for this opportunity, as well as to the AAAL staff who are supporting this important effort in the production of this AAALetter. I also want to thank my predecessor Junko Mori, who has shown me the way into this important role. PS: I look forward to seeing you in Portland, OR, this coming March 18-21, 2017! What leadership skills do applied linguists need? What situations have you been in (or do you anticipate being in) where you took on (or were thrust into) a position of leadership? And how well prepared did you feel in assuming those roles? There has been some discussion in recent years about the possibility of AAAL helping members develop their leadership skills. What might such support involve? We can think first about leadership within AAAL. What must our members know and be able to do in order to serve effectively on AAAL committees and task forces? Knowledge of the association’s standing rules and bylaws, as well as its history and its culture (both implicit and explicit), are certainly essential. But equally important are the “soft skills” of time management, prioritizing, and exercising good judgment, as well as effective written and spoken communication. Presumably most applied linguists have developed many of these skills in the course of their careers. Beyond leadership roles in AAAL, we are often called upon to serve as leaders in our work contexts. Those responsibilities may align with administrative roles – as mentors, program heads, department chairs, lead teachers, deans, union leaders, provosts, and so on. In our professional contexts, we may or may not have a choice: Taking on administrative roles may be a contractual obligation rather than an option. However, being appointed or elected to such positions is no guarantee of leadership potential. I a m sure we have all known administrators who were not leaders as well as leaders who were not administrators. We may also have opportunities – or responsibilities – to serve as leaders in the wider social milieu. Whether the context is local schools, synagogues, mosques, churches, city government, libraries, youth groups, or foundations, as applied linguists we have much to offer, given our knowledge of language and its pervasive importance in our communities. I am curious about applied linguists’ experiences with leadership. Would there be an interest among AAAL members if the association were to provide support for developing leadership skills? If you would like to share your views, please write to me at president@aaal.org. I would be interested in learning about any leadership experiences you have had where you felt you could have been better prepared, or about leadership issues you believe you may face in the future. I would appreciate hearing from you – especially if you can email your thoughts to me on or by Saturday, Oct. 8. I would like to think about such input before the AAAL Executive Committee meets later in October. Also, if you would like to read about leadership, you can find a reference list on this topic at www.tirfonline.org/resources/references. Scroll down the alphabetized list of topics. The various reference lists are stored as free downloadable Word documents. I hope you will find them useful! With sadness and respect, AAAL notes the passing of Braj Kachru, Professor (Emeritus) of Linguistics at University of Illinois Urbana-Champaign on July 29, 2016. Professor Kachru was seventh President of AAAL in 1984. An obituary describing his accomplishments can be found at http://linguistlist.org/issues/27/27-3201.html. A Message from our Secretary-Treasurer, Jeff Connor-Linton-- 2016 AAAL Election Results! Many thanks to the 2015-2016 Nominating Committee (Keiko Koda, Chair; Charlene Polio, Guadalupe Valdez, Fredricka Stoller, Ryuko Kubota, and Aneta Pavlenko [ex officio]), for recruiting a strong slate of candidates. 309 members of AAAL voted in this year’s election. Laura Collins was elected Second Vice President. Laura is Associate Professor of Applied Linguistics in the Department of Education at Concordia University. Her research has won the AAAL Graduate Student Travel Award and the Paul Pimsleur Award for Research in Foreign Language Education and includes studies of features of input exposure and output practice that constrain/facilitate classroom language learning; the mathematical modelling of second language vocabulary learning; cross-linguistic influence on the learning of morpho-syntax, phonology, and lexis; and bilingual literacy practices with French-English school-aged children. She has been Graduate Program Director at Concordia, Editor of The Canadian Modern Language Review, and Vice-President of the Canadian Association of Applied Linguistics. She has served AAAL as Executive Committee Member at Large, member of the ARAL Advisory Board, and Local Chair of two conferences. Glenn Martínez was elected Secretary-Treasurer. Glenn is Professor of Hispanic Linguistics and Adjunct Professor of Nursing at The Ohio State University. Glenn has developed financial management, strategic planning, and constituent cultivation skills as Executive Director of International Programs, Assistant Dean and Department Chair, and as PI/Director of grants from the US Department of Education, the National Institutes of Health, and the National Endowment for the Humanities. He has served AAAL as an abstract reviewer, strand coordinator, and as a member and chair of the Resolutions Committee. Naoko Taguchi was elected Member at Large. Naoko is Associate Professor in the Modern Languages Department at Carnegie Mellon University where she teaches courses in SLA and Japanese language and culture. Her primary research area is second language pragmatics, focusing on the development of pragmatic competence, and individual and contextual factors affecting the development. Her current projects involve instructed pragmatics, pragmatic development in a study abroad context, and heritage learner pragmatics. Her additional research interests include intercultural competence, English as a lingua franca, and English-medium education. She has served AAAL as member and chair of the Nominating Committee, and as abstract reviewer and strand coordinator for several conferences. Bill Grabe was elected Trustee of the Fund for the Future of Applied Linguistics. Bill is Vice President for Research at Northern Arizona University, and Regents Professor of Applied Linguistics in the Department of English. His research interests center on reading, writing, literacy, written discourse analysis, and content based instruction. He has served AAAL as President, member and chair of the Nominations Committee and the Sociopolitical Concerns Committee, and as editor of ARAL. In 2005, he received the Distinguished Scholarship and Service Award. Laura, Glenn, Naoko and Bill will begin their terms of office at the 2017 Conference in Portland. Meg Malone is Director of ACTFL’s Center for Assessment, Research and Development and Co-Director of the Assessment and Evaluation Language Resource Center at Georgetown University. 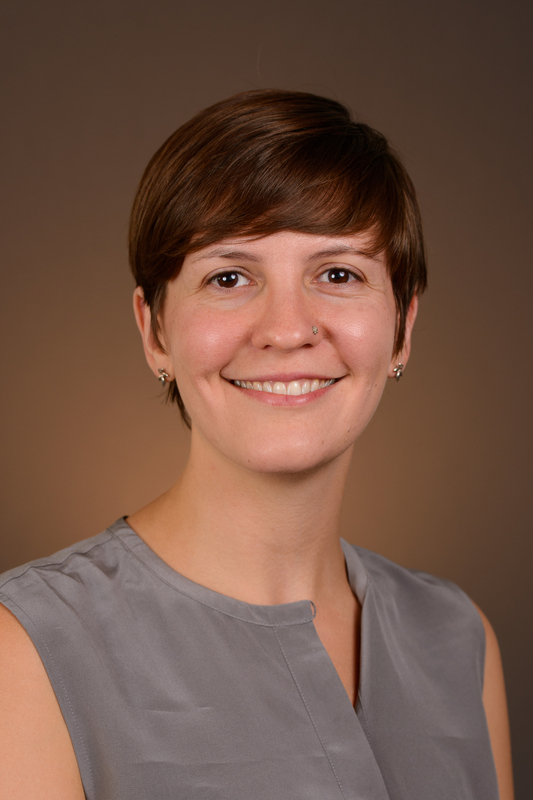 Her research includes evaluation of a federal teaching and learning initiative on critical languages and comparisons between English language academic writing and test tasks. She is the co-founder of the East Coast Organization of Language Testers, Secretary of the International Language Testing Association, and serves on the advisory board for IRIS and the editorial boards for ARAL, Language Assessment Quarterly and Applied Language Learning. She serves AAAL as its representative to the Joint National Committee on Languages. Rosa Manchón is Professor of Applied Linguistics in the Department of English at University of Murcia. Her research interests focus on research methodology, cognitive aspects of instructed SLA and second language (L2) writing. She has been a member of the Executive Board of AESLA (Spanish Association of Applied Linguistics) and of AILA (International Association of Applied Linguistics), and Editor of the AILA Review and the Journal of Second Language Writing. She has served AAAL as an abstract reviewer, member of the Task Force on Publishing in Applied Linguistics, and invited colloquium organizer. Elana Shohamy is Professor of Language Education at Tel Aviv University where she researches the co-existence and rights in multilingual societies within Language Testing, Language Policy, Migration and Linguistic Landscape. Elana is the winner of the ILTA lifetime achievement award and has served AAAL as member and chair of the Distinguished Scholarship and Service Award Committee. Wayne Wright is Professor of Literacy and Language at Purdue University. 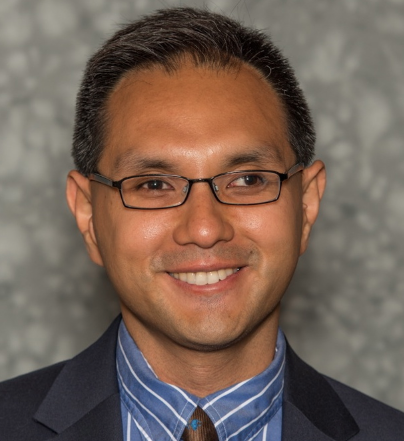 His research is on language and educational policies, programs, and instruction for English language learners and other language minority students. He is Co-Editor of the Journal of Language, Identity, and Education and Editor of the Journal of Southeast Asian American Education and Advancement. He is a recipient of the Charles A. Ferguson Award for Outstanding Scholarship and has served AAAL as member and chair of the Resolutions Committee. Martha Bigelow and Christian Chun were elected to the Outreach Award Committee. Martha Bigelow is Professor of Curriculum and Instruction at the University of Minnesota. Her research focuses on the language learning and schooling of adolescent refugees from East Africa. In addition, she develops outreach activities in local schools and state legislation on education of language minority youth. The University of Minnesota has recognized her work with the Multicultural Recognition Faculty Award and the Matthew Stark Civil Rights and Civil Liberties Faculty Award. She has served AAAL as a member of the Resolutions Committee. Christian Chun is Assistant Professor in the Department of English at the City University of Hong Kong. His research interests include English for Academic Purposes, critical literacies, and social-semiotic approaches to language education. He is on the TESOL Quarterly Editorial and Advisory Board. I am pleased to join the Executive Committee (EC) of AAAL, which supervises our organization’s affairs and sets policies that allow our organization to grow from strength to strength. As someone who has served in various leadership roles in several professional organizations, I am fully aware that things do not just happen serendipitously. By the same token, AAAL’s accomplishments are the result of our members’ enduring commitment to the organization’s mission and their investment in its future. As a newly minted Member-At-Large, I am excited to continue the good work of my predecessor, Agnes He, by supporting existing programs and services, working on AAAL’s strategic plan, and creating the necessary infrastructure to support emerging issues and opportunities. I would like to give a shout out to the nimble AAAL leadership that has taken on new initiatives such as the various awards committees that were set up over the past two years. These standing committees serve as powerful steering engines, and as part of my new portfolio, I am delighted to be the EC member of the Research Article Award Committee. I will perform this role in conjunction with my other role as an elected member of the Book Award Committee. I take these tasks seriously because both committees are charged with the responsibility of ensuring that the publications of our colleagues are duly recognized. Equally important to me as a Member-At-Large is the need to represent the perspectives of AAAL members in ways that facilitate the dissemination of knowledge, and promote understanding of language-related issues in order to address real world problems. We live in a time when much falsehood and ignorance are circulated in the media. As applied linguists, we are morally obligated to carry out AAAL’s mission of serving society with ethical integrity and educate the general public about issues such as the politics surrounding immigration. Most of us would agree that being a citizen scholar is a collective effort. To realize this endeavor, I intend to engage in constructive dialogue with both our domestic and international AAAL members. On your part, please do not hesitate to contact me if you have any concerns. Finally, I would like to add that the effectiveness of my stewardship is dependent on your support. In the next 18 months, I look forward to being your voice in the EC. I am also excited about working with the other members of the EC as well as the AAAL Managing Director, Sarah Berke, and her amazing team (Jessica Atkinson, Ellen Shea and Karen Lowe). Have a good academic year ahead of you, and see you in Portland in March! March, 2011; Chicago; my first AAAL conference. A classmate from Berkeley, Billy, and I clung together like tourists with passports hidden in our belts. We hardly spoke to anyone. We attended every session we could. We took lots of notes. We befriended some nice people who were running a book display. We rejoiced in finding a drink ticket on the floor. We heard Jim Gee and Chuck Goodwin and Michael Silverstein and Mary Louise Pratt and Leanne Hinton and Diane Larson-Freeman speak. We whispered that they looked just like, or not at all like, what we had imagined from their writing. We stayed with friends in different suburbs of Chicago and parted ways at the bus stop each night, giddy and exhausted. That year, and in the years that followed, I faithfully attended each AAAL conference. My advisor, Claire Kramsch, wisely and generously set aside money each year to make sure that her grad students could come to the conference. She knew before we did that coming to AAAL meant keeping a finger on the pulse of the field. What are people talking about? And how? More than any reading I do, coming to AAAL feels like a window into the soul of our discipline. A few years into my AAAL-going, however, I had a crisis of faith. My research is in preschool classrooms, contexts into which few other applied linguists venture (except maybe to drop off their children). As I failed, year after year, to find more than one or two papers in the AAAL program about preschool children, I began to doubt that I could be a legitimate applied linguist and study very young learners. But the theories and methods I was using to make sense of my research context were the same theories and methods that others at the conference were using, too. I forced myself to recall that initial feeling of finding my people. I stuck around. I had a paper accepted. Then another one. I got over the feeling of illegitimacy. Mostly. Last spring, I had the happy surprise of winning the first AAAL dissertation award. Part of the joy I felt upon hearing the news was the feeling of being recognized, and perhaps recognizing myself, as an applied linguist. Part of my pleasure, too, was in seeing my four-year-old participants be recognized as legitimate language learners in our field. As the research contexts discussed at AAAL continue to diversify—classrooms, courtrooms, boardrooms—I know that not all AAAL members rejoice in that expansion. I’ve heard eulogies for the days when everyone was part of the same conversation about university foreign language teaching. But a field is not its research participants or research contexts. Our theories, our methods, and even our debates about our theories and methods are what constitute our discipline and our “language.” And it is those debates and that shared “language” that keep me coming back for more. So, yeah, I study preschoolers. And I still get excited about finding drink tickets. Applied linguists do those things sometimes. At least this one does. The AAAL Distinguished Scholarship and Service Award (DSSA) recognizes and honors a distinguished scholar for her/his scholarship and service to the profession in general and to the American Association for Applied Linguistics in particular. The recipient of the 2017 DSSA is Dr. Patricia (Patsy) Duff. Dr. Duff is a Professor and Distinguished University Scholar in the Department of Language and Literacy Education at the University of British Columbia. There she serves as the Co-Director of the Centre for Research in Chinese Language and Literacy Education, and as the Coordinator of the Teaching English as a Second Language Program as well as the Modern Language Education Program. Dr. Duff has a long history of involvement with AAAL, with AILA, and with other applied linguistics associations around the world. She has given numerous presentations at AAAL conferences over the past quarter of a century, including both papers and colloquium presentations. She has also been a colloquium organizer on four occasions. 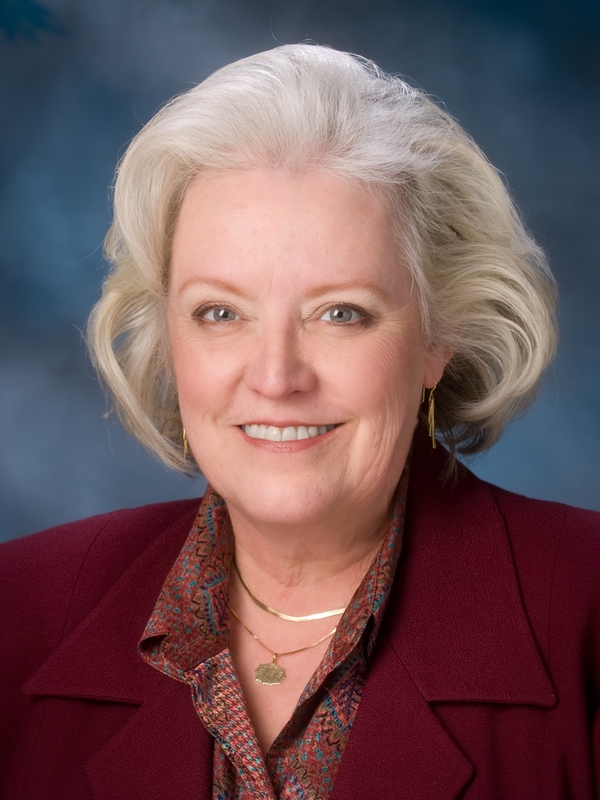 In addition, Dr. Duff was elected for a three-year term as the Member-At-Large of the Executive Committee (2002-2005). In that capacity she worked on the graduate program membership directory updates, on transforming our membership records from print-based to electronic web-based directory, and as the Executive Committee liaison to the Rules and Resolutions Committee. Dr. Duff’s scholarship is internationally recognized. She has taught courses and given presentations in Australia, Chile China, Egypt, England, Finland, France, Germany, Japan, Hungary, Korean, Mexico, Mongolia, New Zealand, Sweden, Thailand, and in many parts of Canada and the US. Dr. Duff’s main scholarly interests have been related to language socialization across bilingual and multilingual settings, qualitative research methods in applied linguistics (especially case study research, ethnography, and complementary approaches to classroom research); issues in the teaching and learning of English, Mandarin, and other international languages; the integration of second language learners in schools universities, and society; multilingualism and work; and sociocultural, sociolinguistic, and sociopolitical aspects of language(s) in education. Dr. Duff has published widely and she has also served the profession by her work on the editorial boards of many journals, including the Modern Language Journal, the Canadian Modern Language Review, Applied Linguistics, the Annual Review of Applied Linguistics, Chinese Language and Discourse, Classroom Discourse, the TESL Canada Journal, and journals in Thailand and Korea. She edited the research issues section of the TESOL Quarterly for twelve years and chaired the Research Advisory Committee for TIRF (The International Foundation for English Language Education) for six years. This year’s DSSA Committee consisted of Merrill Swain (OISE/University of Toronto), Guadalupe Valdes (Stanford University), James Lantolf (The Pennsylvania State University), Paul Kei Matsuda (Arizona State University), with Christina Higgins, (University of Hawaii at Manoa) serving as the committee chairperson. Over the past few months, AAAL has launched two brand new member resources: A List of Funding Sources and the AAAL Guidelines for Publishing in Applied Linguistics! Both resources can be accessed by clicking on the links provided below and selecting the RESOURCES tab on the top menu once you have logged into the AAAL site. The AAAL Funding Sources is a comprehensive list of available research funding from a variety of sources. To access this resource, go to https://aaal.com/aaal-funding-sources. Check this great resource to see if you can take advantage of any of these opportunities! As EC Member, Lucy Pickering, introduced in the earlier article on this volume, The American Association for Applied Linguistics (AAAL) Guidelines for Publishing in Applied Linguistics are intended as an advisory point of reference, endorsed by AAAL. Applied Linguistics encompasses a broad range of disciplines in which language is involved. We recognize that not every type of publishing venue will be addressed here. Rather, our aim is to offer a set of guidelines that could help graduate students and early-career scholars make publication-related decisions that will aid their professional development. To access this resource, go to https://aaal.com/guidelines-for-publishing-in-applied-linguistics. Be sure to share these resources with your colleagues and students, and encourage them to join AAAL to have access to them!